Knowledge that is developed through welding education is the most important welding tool you’ll ever own! Whether you’re a beginning welder or approaching expert status, a well-rounded welding education is key to honing your craft. Arc welding is a dynamic field in which continued learning is essential to keeping a pulse on evolving techniques and standards. Even professional welders enhance their skills by staying up-to-date on new trends and methods. Since 1939, we’ve been the premier publisher of welding books and technical papers that feature the most comprehensive, current arc welding information and methods. We continue the tradition today by offering easy to follow educational tools anyone can utilize, regardless of skill set. 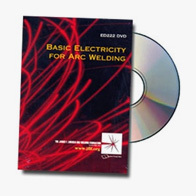 Our large selection of affordable welding books, arc welding tutorial DVDs, fun welding project kits and design aids provide clear, step-by-step navigation. 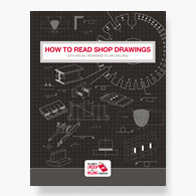 Because welding is so dynamic, many welders invest in curating a personal collection of educational materials for convenient reference as they continue to learn arc welding. Download our technical papers to learn arc welding safe practices as well as innovative welding methods. 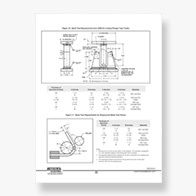 Many of the articles are award-winning papers from our professional welding awards program.